It is just a couple of days before Christmas Eve and you should already have your Christmas decorations prepared. Now, in case you find yourself a bit left behind due to a couple of unforeseen circumstances then do not despair. There are still alternatives that can definitely help you keep up with your Christmas decorations. This works well especially if you are on a tight budget and you do not have the luxury of time due to other commitments. 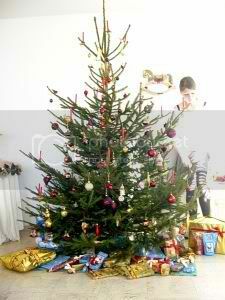 Though Christmas trees usually are kept inside your home, you have the option to have a unique take. You can simply place it outside your house! Not only is this a new way of having your Christmas tree but the snows which will fall on it will add on the decoration! Crafting your do-it-yourself Christmas tree would require a bit of effort on your part but then again it is worth it. Just buy a pack of extra hard construction paper or cardboard and then put two sheets of it together. After doing so, draw the shape of a Christmas tree on it using a thick lead pencil. Use a pen knife to smoothly cut the marked lines. You should have two pine tree-shaped cardboards with similar dimensions. Once you are done, assemble it. Just cut a small space that will serve as a slot on top of the board and another at the bottom of the second board. You can fit the two boards together which will appear as a three dimensional tree. From here, you can simply design your DIY Christmas tree that you really desire. This will definitely help you catch up with the coming holidays in case you are running behind for your Christmas preparations. This will definitely work fine. Christmas is just around the corner and while some people are engaged in shopping rush, some are busy decorating their homes. Having a Christmas theme can give you specific ideas on how you will decorate your home and garden. Decorating the interior of your house can be more exciting with the help of family members. Collaborative works can also produce an amazing result. 1. Gather seasonal dolls such as Santa Claus, Christmas bears and elves and hang them by the windows or fireplace. You decorate your Christmas tree with this kinds of decors. If you are expecting more children to visit your house during the holiday, incorporating a kiddie theme will definitely grab their attention and enjoy Christmas even more. 2. Create Christmas ribbon and bows and tie them on attractive plants in your garden. Medium-height shrubs are perfect examples. You can also tie the ribbons on your stair railings, curtains and door knobs or handles. 3. 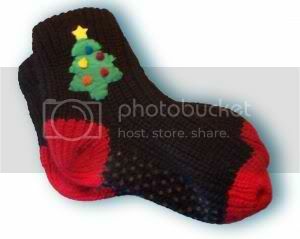 Hang some stockings or socks by the fireplace and windows. Select the most colorful ones to greatly feel the spirit of Christmas. 4. Use glow-in-the-dark stickers or Christmas decors in your dining area and kitchen. Sparkling stars, snow flakes and gifts are just some of them. You can also stick them in the different areas of the house. 5. Decorate your living room with Christmas wallpapers. You don’t have to change the entire wallpapers of your rooms, you can simple get a big Christmas poster and hang it on your wall. 6. Prepare Christmas cookies and muffins and set them on the table. Everyone can munch some while listening to Christmas songs. 7. Display Christmas garlands by your doors. You can also hang some Christmas bells and change the sound of the door bells into sweet Christmas music. Simple arts mixed with creative ideas can give you the most artistic Christmas decor you could ever have. Be resourceful and make use of old stuff or your favorite handicraft items to create new holiday decorations.